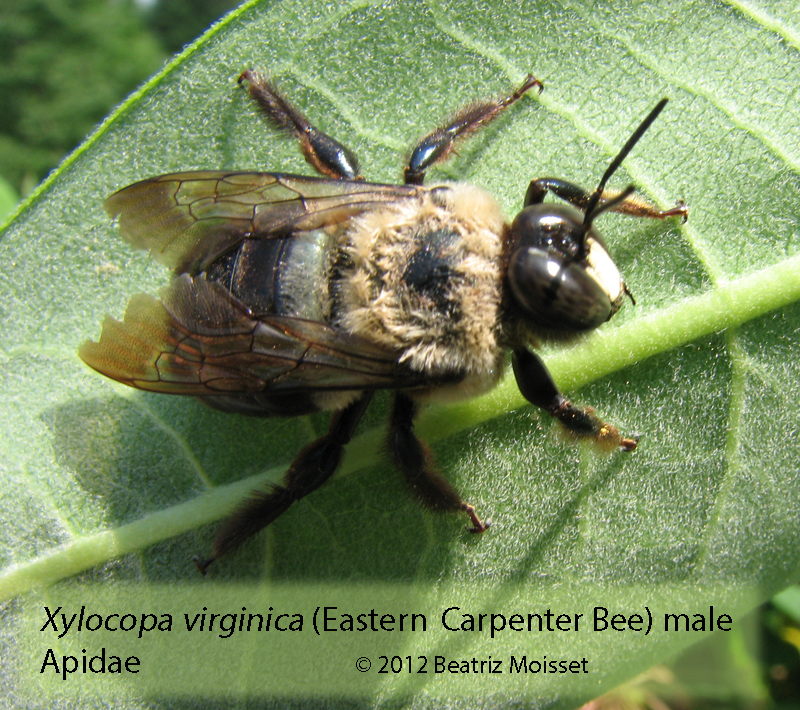 Carpenter bees belong to the Apidae family. Xylocopa. 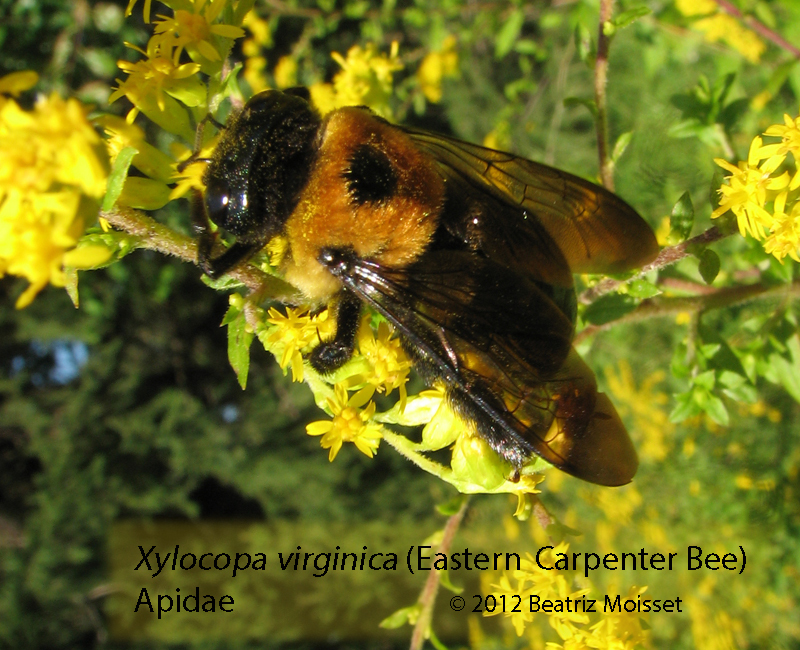 The most familiar ones are the large carpenter bees of the genus Xylocopa. They get their name from their habit to drill holes in wood for nesting purposes. They prefer soft and untreated wood. Ceratina. 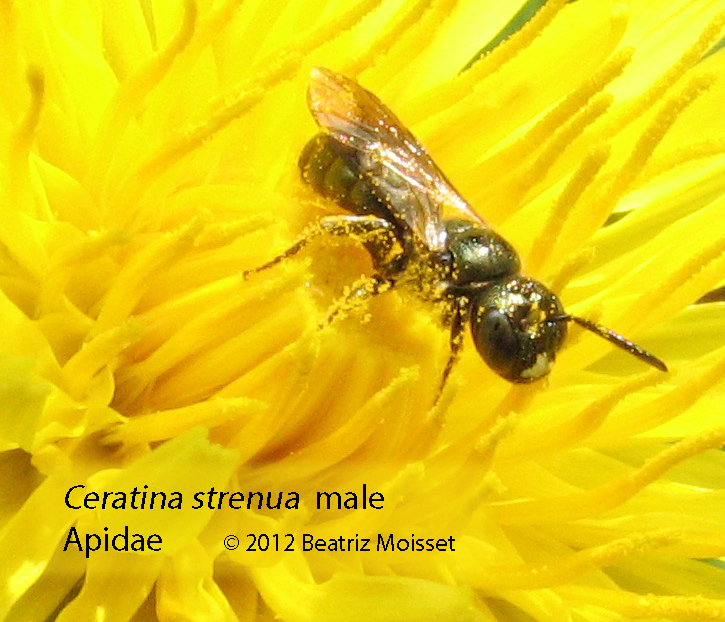 There are also small carpenter bees, Ceratina. They look very different and are considerably smaller. Instead of making their own nests by chewing on wood, they choose hollow twigs for nesting. 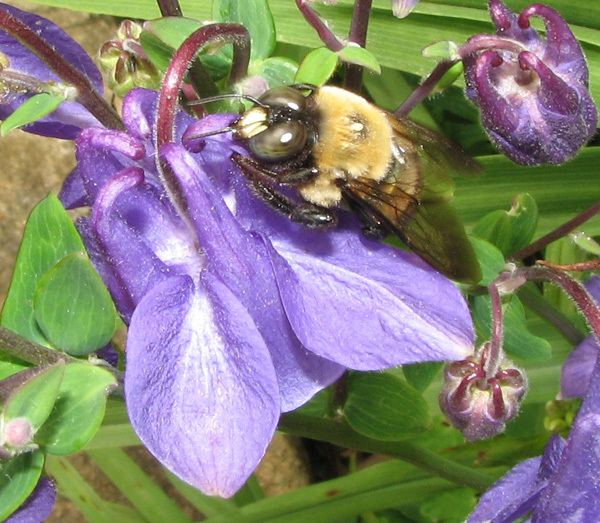 The Carpenter Bee is easily confused with the Bumble Bees. It is the same size or larger, dark and robust. But it doesn’t have any hair on the abdomen, thus this part of its body appears glossy black. 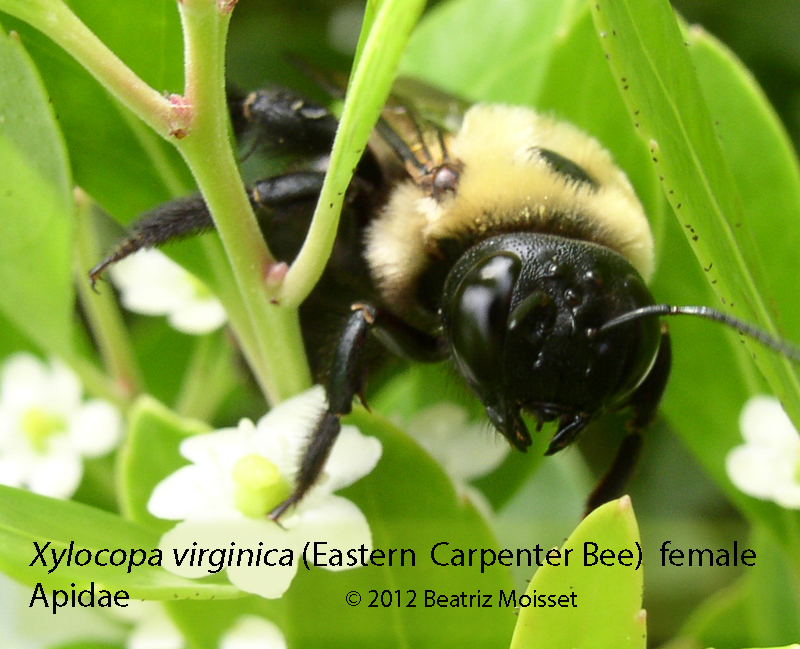 The Eastern Carpenter Bee is black all over, while Bumble Bees have yellow stripes. 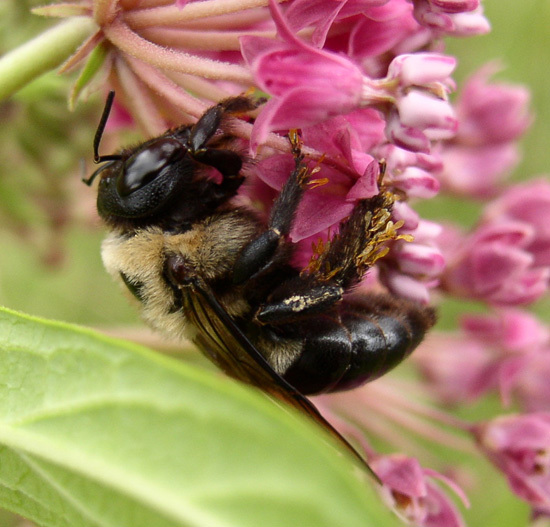 The hind legs of Carpenter Bees, especially females are thick and very hairy, different from Bumble Bees that have two rows of hairs forming a pollen basket. The male has a white spot on its forehead. 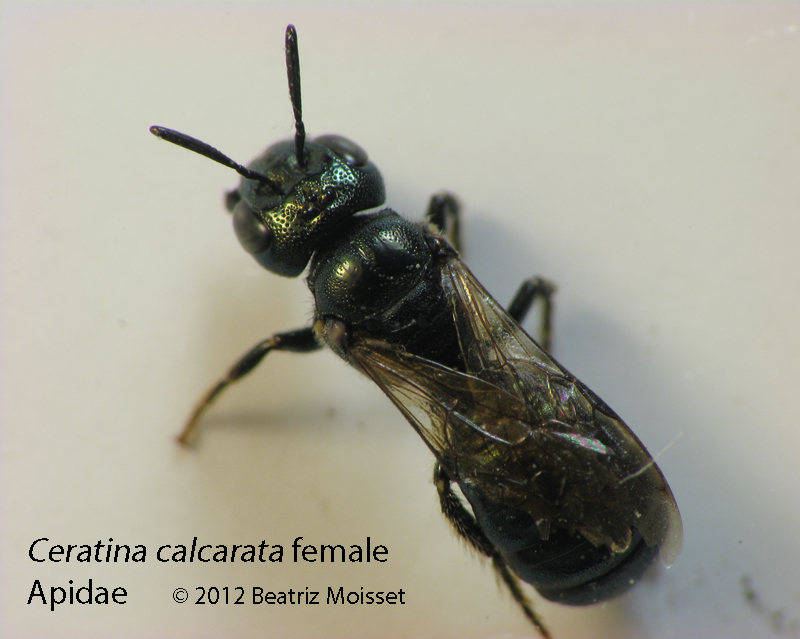 The females dig holes on soft wood to build nests; that is why they are called Carpenter Bees. The males fight for territories in the early spring and you may see them buzzing around near buildings for long hours at a time. They don’t sting, so there isn’t much to fear although they may look quite threatening. The females stay through the summer building their nests and stocking them with nectar and pollen collected at flowers to feed their broods. Habitat. Fields and gardens. In spring, they are often seen near buildings where there is some exposed wood. 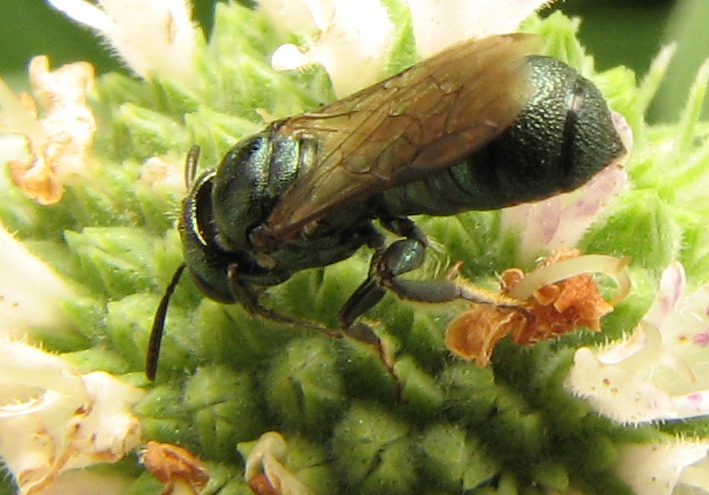 The Eastern Carpenter Bee is widespread, mostly in the East. Season. From early spring to late fall. Flowers. A large variety of flowers, from dogwood and apple blossoms in the spring to goldenrods in the fall. They seem to show a preference for large flowers or those grouped in large clusters. Passion flower and goldenrods are favorites. You are currently browsing the archives for the carpenter bee category.